Nigella sativa is not well known in the West. You may remember the SuppVersity special on Nigella sativa from January 2015. 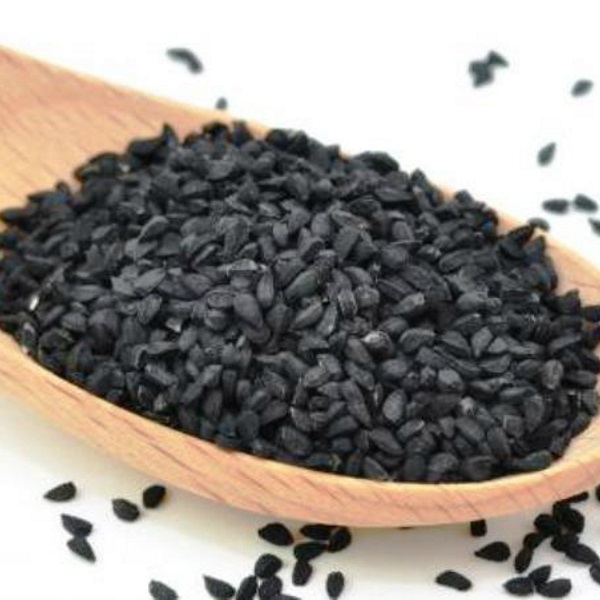 A special, in which beneficial metabolic effects of nigella sativa aka black cumin were only one item on a long list of health benefits, of which many had unfortunately been observe in rodent studies. With a recent study from the Tabriz University of Medical Sciences, there’s now evidence for humans that the fat loss benefits of the oil from nigella sativa are real – at least when it is ingested before meals by dieting overweight individuals. “All the participants received a moderate fat, nutrient-balanced reduction diet. A dietician designed an individual diet by using the Mifflin equation to determine resting energy expenditure (Namazi et al., 2015). After adding the estimated physical activity coefficient (based on International physical activity questionnaire) and thermic effect of food coefficient (1.1), 500 kcal from the amount of total required daily energy calculated for each subject was subtracted. The resulting diet was composed of 15% protein, 55% carbohydrates, and 30% fat. A 24-hour dietary recall (one weekend day and two weekdays) was applied for assessing the level of patients’ compliance with the diet” (Mahdavi. 2016). The diet was supplemented with either nigella sativa (NS) oil soft gel capsules (3g/day) with one capsule a 1g being taken 30 minutes before meals or a sunflower oil (SF) placebo capsules for eight weeks, total. Does timing matter and what about the seeds? While it is difficult to tell, whether the effects would vanish if the oil was timed differently (i.e. not 30 minutes before meals), the mix of active ingredients, including thymoquinone (TQ), thymol, nigellone, nigellicine, alpha-hederin, unsaturated fatty acids, vitamins (B1, B3, B6, E) and minerals (Fe, Zn, Cu) may in fact have to be present in the digestive tract before / during a meal. It is similarly questionable, whether simply eating the seeds will have the same effect. If we assume that they don’t “got through” (soaking, grinding or chewing them may help), they should. After all, the seeds contain the same (if not more) of the active ingredients as the oil – even if they are probably less concentrated. To assess the success of the intervention, the scientists analyzed their subjects’ BMI, and anthoprometric indices (body fat by bio-impedance), serum levels of insulin, adiponectin, peroxisome proliferator-activated receptor γ (PPAR-γ) and insulin sensitivity in obese women. Secondary outcomes were effects of NS oil supplementation with a low-calorie diet on liver enzymes and other health parameters. Dietary intake and physical activity were controlled. Figure 1: Changes in body composition during the 8-week study in the treatment and placebo group (Mahdavi. 2016). The first somewhat surprising result of the study is that all 50 participants completed the trial – an observation that suggests that both the diet and the consumption of the oil weren’t difficult to adhere to. Accordingly, it is not surprising that all women lost a significant amount of boy weight. Especially in terms of body fat, however, the benefits differed according to treatment: While the NS oil group lost -3.6% of their total body fat mass (that’s a relative reduction of ~8%), the control group lost only -0.8% (a relative reduction of ~2% | note: I used the values from the table in FT and not the questionable percentages the scientists provide in the abstract, which are even higher, but not in line with the recorded absolute changes in body fat). These benefits went hand in hand with significantly more pronounced improvements in basal insulin levels, which were reduced by -29.3% in the treatment group and by only -8.6% in the placebo group. In conjunction with the +87.5% vs. 39.4% increase in adiponectin levels, and a significantly higher relative visceral fat loss, it is save to conclude that the addition of nigella sativa did also affect the subject’s metabolic disease risk significantly. Bottom line: Black cumin or Nigella sativa has been used in traditional oriental medicine as a weight loss aid for centuries. With the study at hand and similar studies in rodents, we are now finally able to confirm what has been “best practice” elsewhere forever. With that being said, you cannot expect weight / fat loss miracles. No weight loss without dieting, no dieting without effort… taking black cumin oil as weight loss support may accelerate the progress, but eventually it’s the energy reduced diet that had the women shed 8% of their superfluous body fat in 8 weeks, not the Nigella sativa oil | Agreed? If not, leave a comment on FB! Mahdavi, Reza, et al. “Changes of body composition and circulating adipokines in response to Nigella sativa oil with a calorie restricted diet in obese women.” Journal of Herbal Medicine (2016). Namazi, Nazli, et al. “Oxidative Stress Responses to Nigella sativa Oil Concurrent with a Low‐Calorie Diet in Obese Women: A Randomized, Double‐Blind Controlled Clinical Trial.” Phytotherapy Research 29.11 (2015): 1722-1728.